Welcome back, flower piggies! How are you all doing? Happy Face Mask Friday! Today, we’ll be testing out the Olive Everyday Facial Mask Sheet from Skinfood. Let’s begin! We have here another face mask from Skinfood’s Superfoods in the World’s Famous Magazine line. If you want to check out the other masks I have tested from this line, you can see the reviews by searching the product in the search bar to the left (if on mobile, search bar should be below this blog article). This mask is said to be rich in olive extract and olive oil to smooth and soften skin for a silkier complexion. The instructions, which are in both Korean and English, say to leave it on for ten to fifteen minutes after smoothing the mask down on the cheeks using the palms of your hands. Don’t forget to use the leftover serum inside the package for your chest and neck. Here is my face after cleansing with the Herbivore Bamboo Charcoal bar soap. 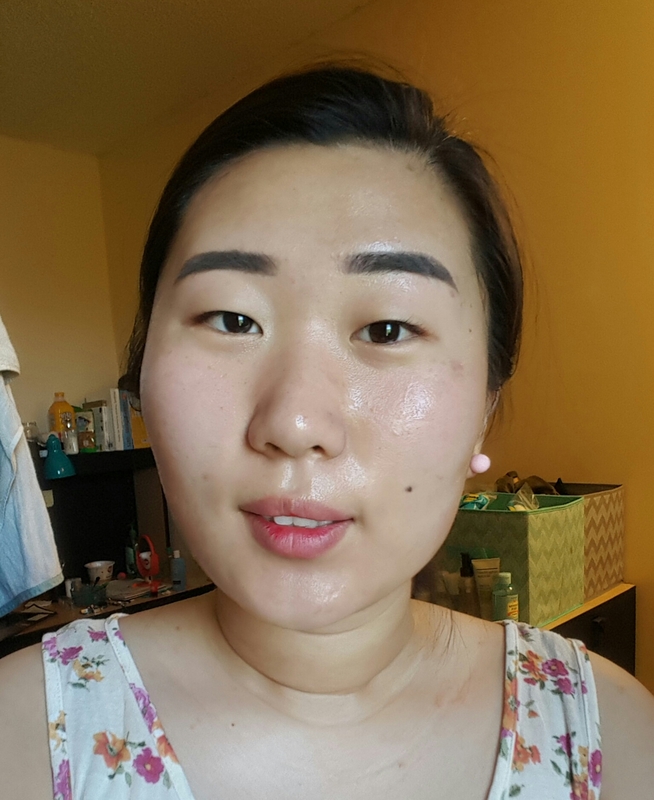 If you’re a subscribed reader of my blog, you might remember that my skin was in a terrible condition two weeks ago before the last Face Mask Friday (you can read about my favorite face mask here). My skin is a lot better after using that face mask, but as you can see, there is still quite a bit of redness and other spots. Also, if you look closely, I have a lot of small holes in my skin. 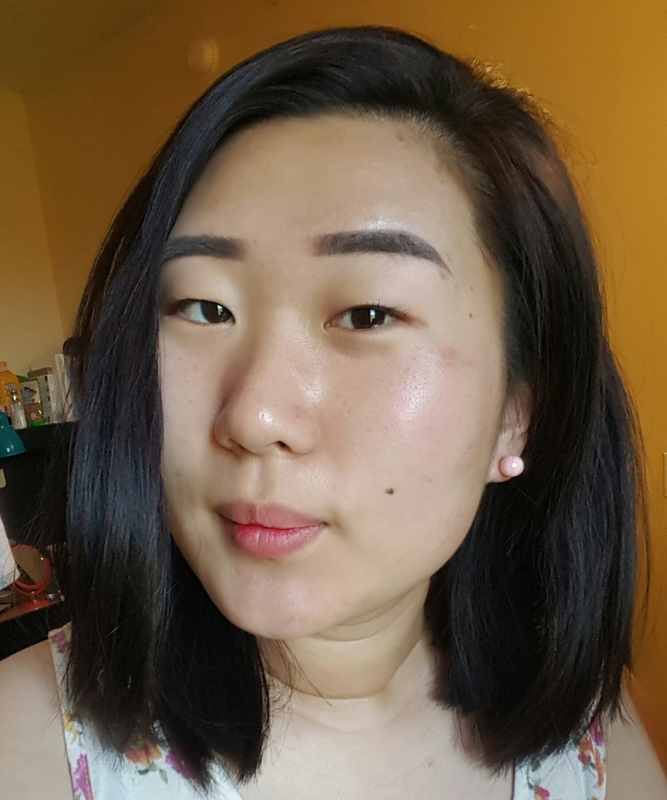 Although I do have large pores, the small holes you may be seeing are from a microneedling process I did last night to promote collagen production for skin elasticity. 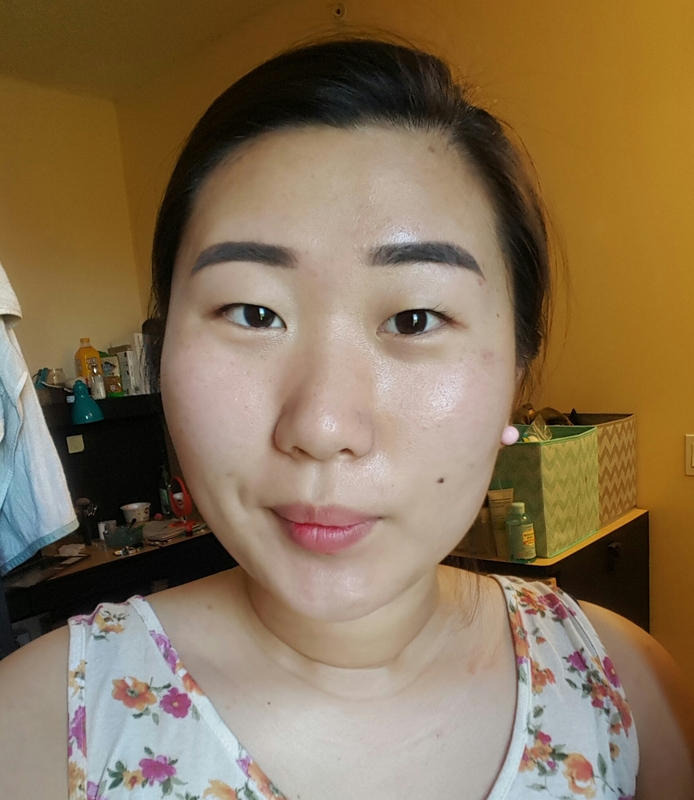 If you’d like to see a blog post on my microneedling progress and procedure, feel free to let me know by leaving a comment down below! Upon opening the package, I was greeted with a scent reminiscent of vintage perfume. It wasn’t a strong scent, but it’s there. It was ever so slightly artificial but overall a pleasant scent and one that I keep going back to get a whiff of. 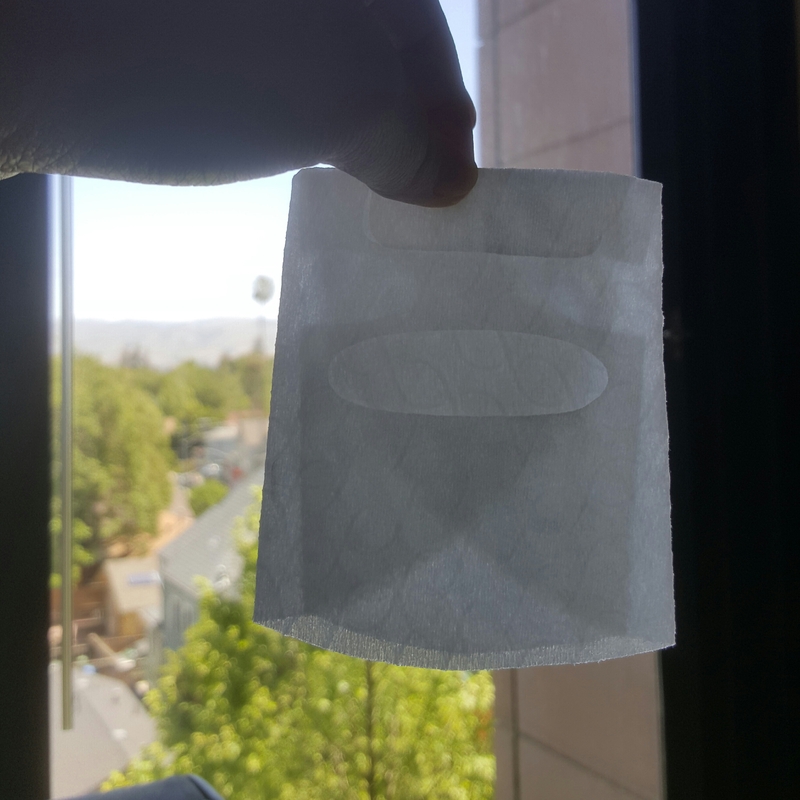 I was nervous about opening up the package because I was worried if the sheet was going to be the same textured one as seen in the Skinfood yogurt mask (review here). I was super excited about the yogurt mask before I tried it on, but I wanted to take it off after just a minute of having it on. I was greatly disheartened to find out that our featured olive mask has that same textured feel. Nevertheless, let’s see what happens (spoiler: there’s a twist)! The mask gave off a gentle cooling sensation that was pleasant to the touch. I have to say, the cutout of this mask is pretty good as well! The proportions and placement of the cutouts made it so that a lot of skin was covered but I didn’t have to excessively overlap the mask at the same time. Also, I loved the texture of the mask. I know I said I did not like the corrugated texture when I reviewed the yogurt mask because the thickness made it hard for the mask to stick on to the face, but I was completely wrong. It was the formula. The yogurt mask’s serum feels oiler, whereas the olive one has a more water-based serum. A bit ironic, don’t you think? When I think of olives, I think of olive oil. The corrugated texture wasn’t the problem at all. On the contrary, I loved the texture because it allowed for movement of the face without disrupting the placement of the mask. I was able to talk and make facial expressions without pulling the mask off. Here is my face after removing the mask once fifteen minutes were up. Here is my face after patting in the leftover serum to allow for better absorption into the skin. My skin felt moisturized and slightly supple. This mask wasn’t heavy-duty for me, but I think that those with drier skin than mine will enjoy it because the dry patches would probably soak up the serum a lot better than my skin did. I also think this mask is a good option for those looking for a light treatment or for maintaining their nice skin. Overall, it was a pleasant experience! Thanks for spending another Face Mask Friday with Bori! Pingback: Acne? Dry skin? 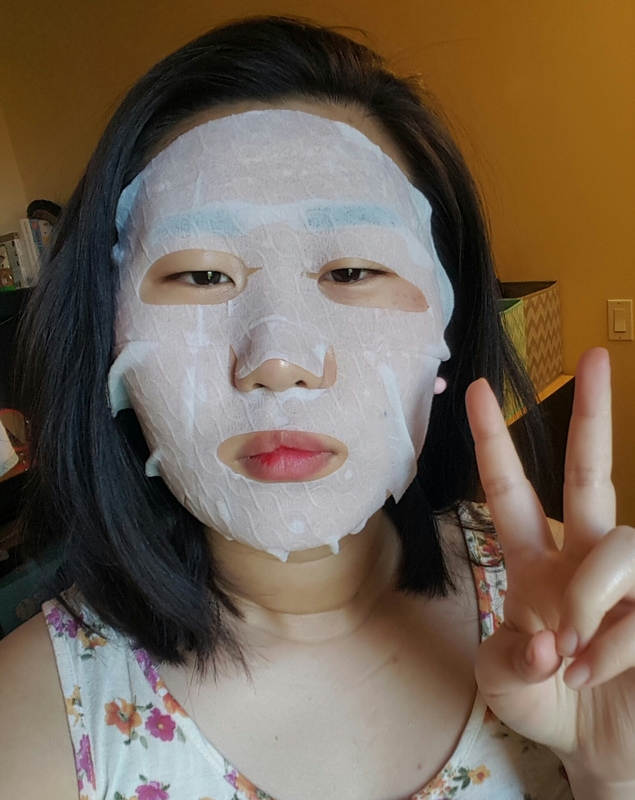 Here are 22 Korean Face Masks for Every Skin Type!